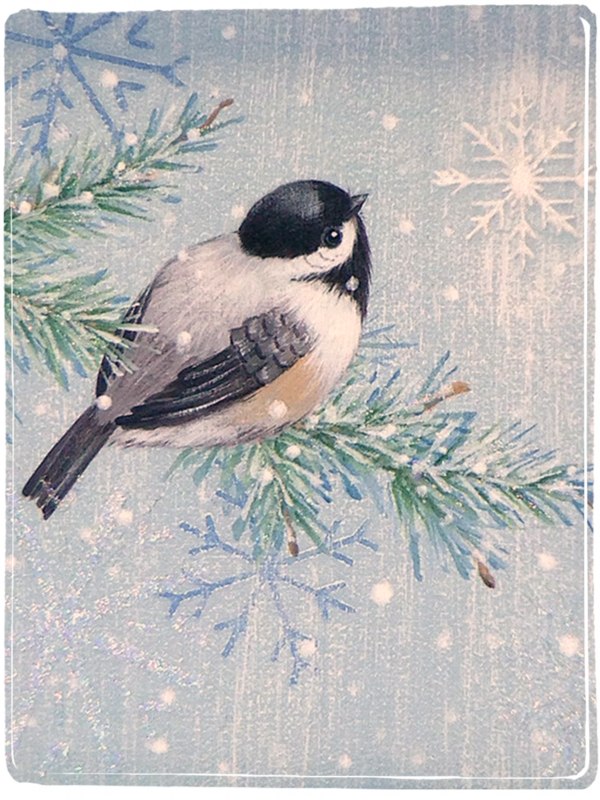 A sweet little chickadee waits silently on a snow-covered bough and watches for the Christmas star to rise in the east. This fun and versatile project incorporates several painting techniques using acrylic paints and specialty mediums. DecoArt products are listed but may be substituted with brands you have on hand. 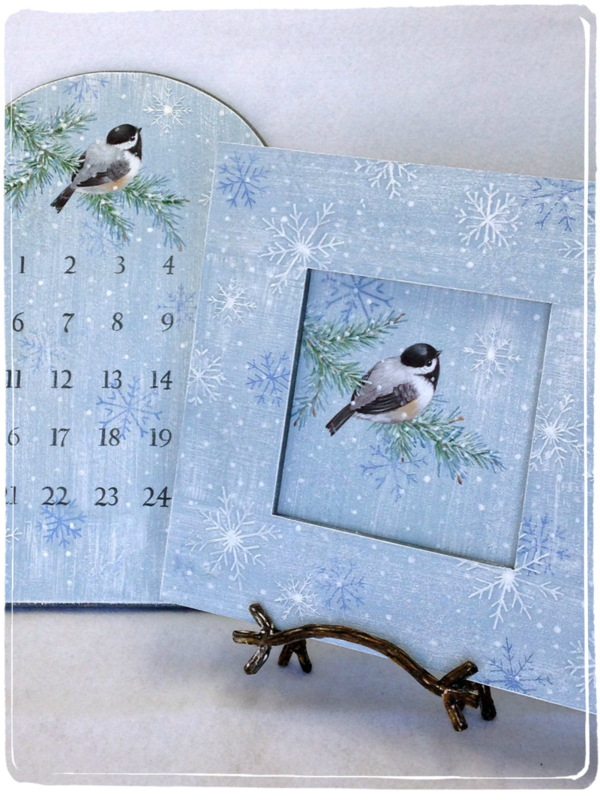 This E-packet contains two patterns (a framed panel project and an Advent calendar plaque), but the bird/bough design makes a delightful motif for ornaments, tags, or any other surface you might choose. The Advent Calendar is executed on a Large Dome Plaque from JB Wood Products www.jbwood.com Item #0175. The square framed panel is JB Wood Products Item #1068 (frame with 6 in. panel insert). Below is a list of the specialty products I used to create the multi-layered, dimensional background and snowflakes. * Please note: This item is delivered to you as a .PDF file which is downloaded to your computer. No paper pattern packet will be sent.